If you have an accident and there is a hazardous material such as ammonia, paint or even gasoline, you need assistance immediately for hazardous material removal. Las Vegas Environmental Pros is your go-to hazardous material abatement company for southern Nevada. Our certified professional hazardous material service technicians will be dispatched immediately at any time of the day 24 hours a day and 7 days a week. 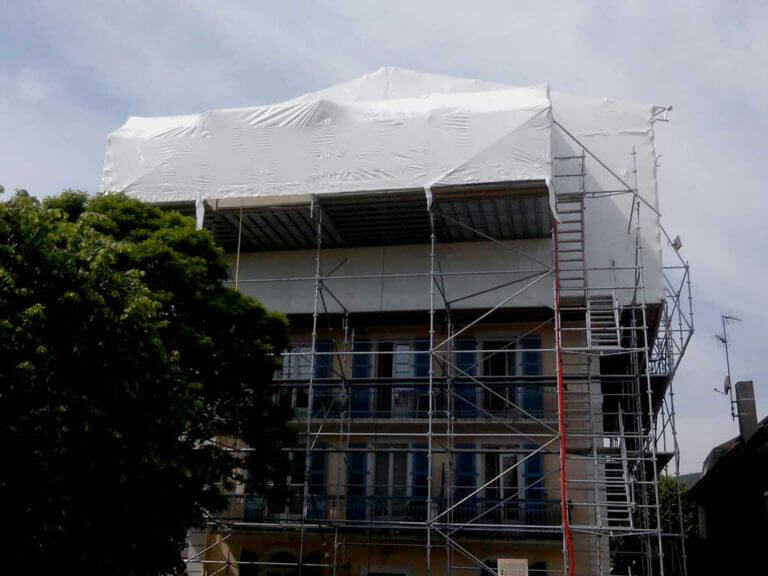 We guarantee a fair and safe assessment of the hazardous material affected area and we provide a firm estimate within 72 hours or sooner if necessary. It becomes crucial that the hazardous material containment start as soon as possible to help not contaminate anything more than it already is. When lives and the environment are at stake, timing is extremely important in hazardous material remediation. Not only does Las Vegas Environment Pros handle all types of hazardous material containment but we are licensed and authorized to provide the complete disposal of hazardous materials as well. 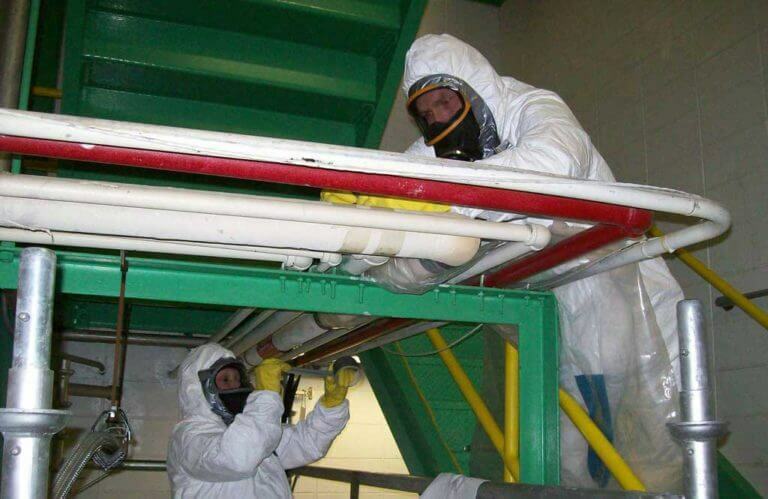 From hazardous chemicals to even radioactive materials, we can handle any hazardous waste abatement project whether it’s a smaller project or a very large hazardous waste situation. No job is too small or too big and we take all the precautionary steps to ensure the job is done as quick and safe as possible. We are committed to being your reliable and safest hazardous waste removal service for all of our customers. The most important factor in hazardous waste remediation is safety. Safety is always our first and biggest concern as we perform the hazardous waste clean up. The most frequent question we receive during the initial waste material removal call is “How do I know if this waste is actually hazardous?” So here are some simple guidelines to ask yourself as you are determining whether the waste is hazardous or not. These are the questions regarding hazardous waste determined by the government EPA division. Is the waste actually ignitable – is it flammable? Is the waste a substance that can corrode, rust or even decompose? Is the waste poisonous or is it releasing toxic odor? Is the waste combustion reactive or can it explode? If you can answer “yes” to any of those above questions, it is your responsibility and duty to call for emergency assistance to our reliable and fast response hazardous material service. Most likely, once you have reached out to our hazardous waste removal team, we almost always call emergency 911 assistance as well to help contain the hazardous waste area and keep the general public and any humans on site safe and away from the hazardous waste area. 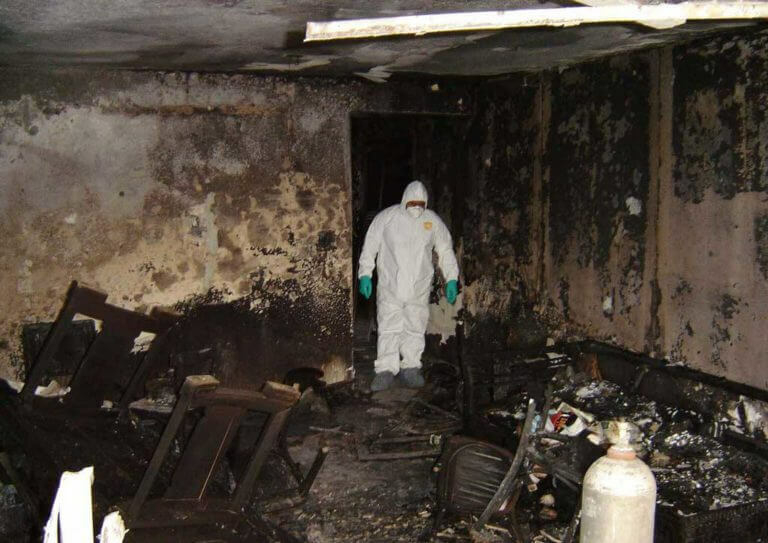 Our most typical hazardous waste removal projects are for asbestos removal, lead paint removal, toxic mold removal, and flood water damage clean up. But we are trained and certified for many other issues. All of the above classes of hazardous waste need to be dealt with in a very specific way depending on what the actual waste is. Our hazardous waste removal team is 100% trained to work with all of the above classes and instruct your employees on what to do if they were exposed to the waste products. Again, emergency services will also be on site if there are any injured or affected individuals due to the hazardous material disaster. Our team is also fully trained to know how to tell if someone is or has been exposed to the above classes and ready to act to assist them as quickly as possible. The most interesting fact in regards to hazardous waste removal is that the largest cause of hazardous waste is actually the basic residential home. Home-owners are often not aware that everyday items that they simply through right into their trash cans are actually hazardous waste and cause much more damage to our environment as a whole even over commercial businesses. You might find it interesting to see that these items that we all have in our homes are actually hazardous. From batteries, cleaning products, solvents, paint, oils, and pesticides like an ant killer product are just a few that can really cause hazardous waste issues for our surroundings. So you can see that it is important that we all do our part and pay attention to what we are just throwing in the trash and causing hazardous waste problems for the world. Here are the key things to remember in the case of hazardous materials. Always ask yourself the 4 questions on if it really is a hazardous waste material. If you answer yes, it is extremely important to call on our hazardous waste remediation team as soon as possible. We are the professionals and the team to count on when a situation is on the line and can become unsafe or out of control very quickly. We are always standing by and will attend to your hazardous waste needs immediately. We are locally owned and operated and have handled hazardous waste abatement for over 20 years in the Las Vegas valley. We handle every type of hazardous waste removal from small to large. We provide service to the entire southern Nevada area serving all of Las Vegas, North Las Vegas, Henderson, Boulder City, Laughlin, and Mesquite. If you or your company is not sure whether or not you have a hazardous waste situation on your hands, we are the hazardous waste removal company to call as our friendly staff will always be happy to assist you and get control of a potential situation that can get out of control very fast. Call us today and we’ll get started immediately. Or if you have a question first, visit our About Page or fill out the webform on our Contact Page.